SimpleCharters is a revolutionary new model that lets anyone book the same private jets as the big brands, without membership fees or overhead costs. Its advanced technology leverages hundreds of privately operated aircraft fleets around the world, providing customers with a unified and instant booking experience.  SimpleCharters is dedicated to providing the safest, highest quality flights in the industry. The black logo works best on light backgrounds; the white logo is designed for dark backgrounds. You can find recent mentions of SimpleCharters in the media here.